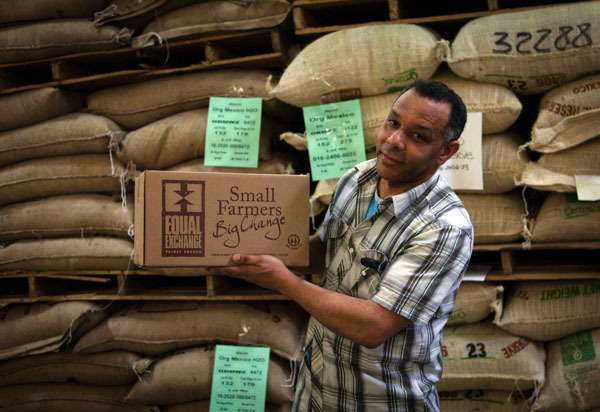 Worker-owner Juvenal Alves packs an order of freshly roasted coffee at the Equal Exchange warehouse in Massachusetts. Photo courtesy of Equal Exchange. Kate Danaher, RSF Social Finance Lending Manager, talks with Chris Mann of Guayakí and Rob Everts of Equal Exchange. Kate Danaher: Consumer packaged goods companies often get a lot of pressure to grow quickly. You have done a great job of scaling your companies while maintaining a lot of integrity. How did you do it? Chris Mann: It’s vital to have a deep connection to the vision and mission, otherwise you can easily be swept away. There’s always a new trend and different opportunities. The vision and mission were woven into the fabric of Guayakí from the very beginning, but it wasn’t necessarily institutionalized. It was very personal. We hired for fit, trained for skill, and stayed committed to our vision. As we scale, we’re realizing that things have to be much more codified, so we’re investing even more in our culture. Rob Everts: When we hire new people, it matters that they’re going to want to be a part of what we’re about—the fair trade, the commitment to farmers, and the worker co-op. Consequently, turnover is relatively low. But it requires thinking about it and engaging in some way every single day. We are always striving to be more forthcoming about mistakes—to encourage “fast failure,” or at least to recognize failure fast, be public about it, and then switch gears and try something else. Kate: A recent RSF study session made me think about how we capitalize business. We live in a culture of profit-driven exits. How do we build good companies that we can pass on? You have each chosen different ways to capitalize and grow your business. Chris: Both our companies have remained independent. It’s not something we’re necessarily committed to for all eternity, but we recognized that it would take a long time to build the kind of company we wanted to build. A big element of being independent is that we’re not going to grow as fast as we can. We are looking for the areas we’re pulled into and invest into the “pull,” rather than pushing into new territory and trying to jump onto every trend. Rob: Early on, we established that the mission was to demonstrate the viability of fair trade and worker cooperatives. Worker control and the role of outside capital have stood the test of time, but when the employees make the highest-level decisions and elect a board that is two-thirds worker-owners, how do you make sure it all functions? We structured with strong management built in, and that has appeal for a vast majority of our people here. Our bylaws even have a “poison pill” that says if we ever sell, 100% of whatever is left after paying the bills is donated to fair trade. We’ve been able to raise $15 million in equity to date. We have about 600 outside investors, and they get no vote and no board seat. They do get a targeted return of 5% a year. At the end of the day, if we can’t pay it back we don’t have to. To many, it looks like debt, but on our balance sheet it is equity. Our investors are with us because they strongly support our mission. Chris: The poison pill concept is pretty radical (which I love). One of the powerful things with that is that you have a high percentage of people who are very engaged in the long-term mission of the business, not just its financial success. Rob: The intent was for this to remain independent and to be a fair trade organization that could endure. We’re not going to grow as fast as we can or just for growth’s sake. We all want to make a positive impact, but we have not necessarily equated volume with impact. Chris: At Guayakí we focused on our mission of stewarding and restoring rainforests using our business model—what we call market-driven restoration. 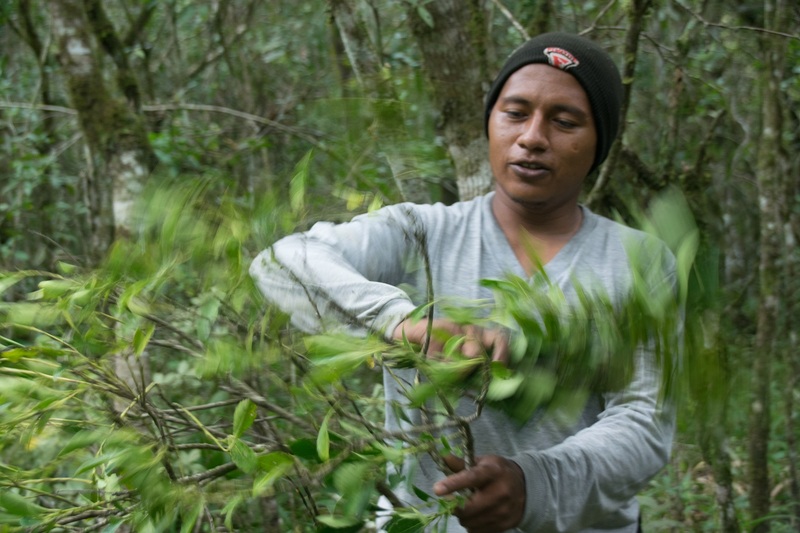 The whole concept was partnering with indigenous communities and small family farms to harvest rainforest plants that could be grown sustainably and provide long-term value to the forest as a service. We wanted a structure that could evolve in ways that would best serve the mission. From the beginning, we were clear that raising equity and venture capital would lock us into a certain path. We avoided that so we could keep our options open. We were able to partner with a community bank— where the president of the bank could look at us and say, I believe in you guys, I trust what you’re doing—to get our first $50,000 Small Business Administration (SBA) loan. Between that and bootstrapping with credit cards and loans, we were able to build a business. When we decided to raise some equity, we were able to do it with friends and family. A big thing that’s missing in the funding range right now is moderate levels of straight debt at moderate interest rates. For young entrepreneurs, it’s easy to look at equity investment as “free” money. When its debt, you look at it a little bit differently and maybe take it just a little bit more seriously. Kate: What worries me sometimes is that there’s so much venture money in the food space now. Some people get starry-eyed about raising $1 million or $2 million of equity, not understanding that if you succeed, it affects your ability to make decisions and run the company. Chris: It’s easy to think, oh, I have five years before the venture capital company or private equity is interested in turning this investment, and there’s a lot we can do in five years. But if you’re doing deep, important work, five years is just a blink of an eye. Even if you’re not, five years is still very quick in terms of building a market, especially in consumer goods. Kate: What do you think could happen to help young social enterprises grow and stay true to their mission? Chris: One of the challenges comes around capital. There’s a constant battle, especially in the early years of a business, between capital for supply chain, capital for marketing, and capital for paying your team. Some things could help that. One would be low-cost financing for supply chain infrastructure projects. There’s a real gap in that kind of financing. Companies could look at supply chain building and infrastructure building as a kind of community development and provide low-cost funding. I’m talking interest of 3% or less, so that most of that financing can go toward the project and the value-added products that make a community much more sustainable economically. Things like that could make it easier for companies to move into that space. Ultimately, companies building the supply chain are going to build more supply than they need. That supply can then overflow to companies that want to use fair trade and organic ingredients. Kate: Rob, have you been financing the infrastructure required for some of your supply chains? Rob: We generally have not financed the infrastructure that our suppliers build. We use our relationships and contracts to help, and we provide trade financing, but for infrastructure needs we work with them and use our contacts. More and more, people are finding Europe-based mission funders to help build out infrastructure. There have been many mistakes where well-intended money went to build things like processing plants without scrutinizing whether there was the management capacity to run it or there was going to be enough capacity for it. I saw several projects in the ’80s and ’90s flop after a lot of money was invested. Kate: Let’s shift this over to building the supply chain. How have you kept it going for so long? Chris: Now there are easier ways for companies to purchase fair trade or organic products and raw materials without having to build the supply chain. That helps to scale awareness and build capacity. But there’s something different about a company that’s on the ground, working with growers, building community, and having a relationship that you don’t get if you’re just purchasing fair trade products. We started at the ground because that’s where the yerba maté grew, within the forest itself and partnering with people. About 15% to 20% of Guayakí’s business is based in South America. However, 90% of our culture, our vision, and our mission comes from what we’re doing in the forest. It drives everything we do and inspires us on a daily basis. One of the most valuable things we do is have our team go down to South America and experience the communities and experience the forest, experience harvesting yerba maté. It brings a level of commitment and understanding that you can’t get otherwise. Rob: The bigger companies are never going to do that hard work. They’re just not going to take the risk to build supply chains that work for small-scale producers. Impact precedes volume, but volume helps! For those who are doing business with integrity, it matters, but you’re not going to see too many examples of corporate players doing it. They weren’t pioneers in organic, but once it was determined there was demand out there they started doing it—and simultaneously set out to weaken the standards. If someone asked, “What’s Equal Exchange’s biggest success?” I would probably point to the supply chain built in coffee. We weren’t alone, but for ten years we took the risk, before there were any certification schemes. Now a lot of organizations have built their own coffee processing plants. And they’re going beyond the commercial piece, looking at how they can mitigate climate change. We ask, how can we go far beyond the written fair trade commitment and do things that are going to matter? How do we inspire the next generation? Chris: We saw that with the Ache Guayakí we work with in Paraguay. One of the youths ended up going to law school, and then he came back to the community so he could help them organize as a legal entity and get access to their tribal lands. That’s when tears come to your eyes and you get goosebumps. These are the parts of life that we all live for, and yet we avoid them. There’s a real opportunity with the kinds of businesses we deal with to open more people to that experience, to continually remind ourselves, and to keep alive these cultures that have so much to teach us. They have everything to gain and way more to lose than we do. Rob Everts has organized farm workers with Cesar Chavez, helped lead a boycott against Folgers Coffee that contributed to peace accords in El Salvador, and consulted for UNICEF in Costa Rica. 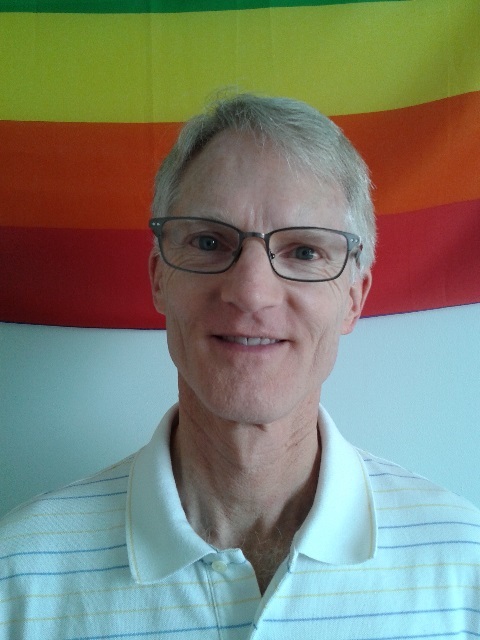 He joined Equal Exchange in 1997 and became co-executive director in 1999. 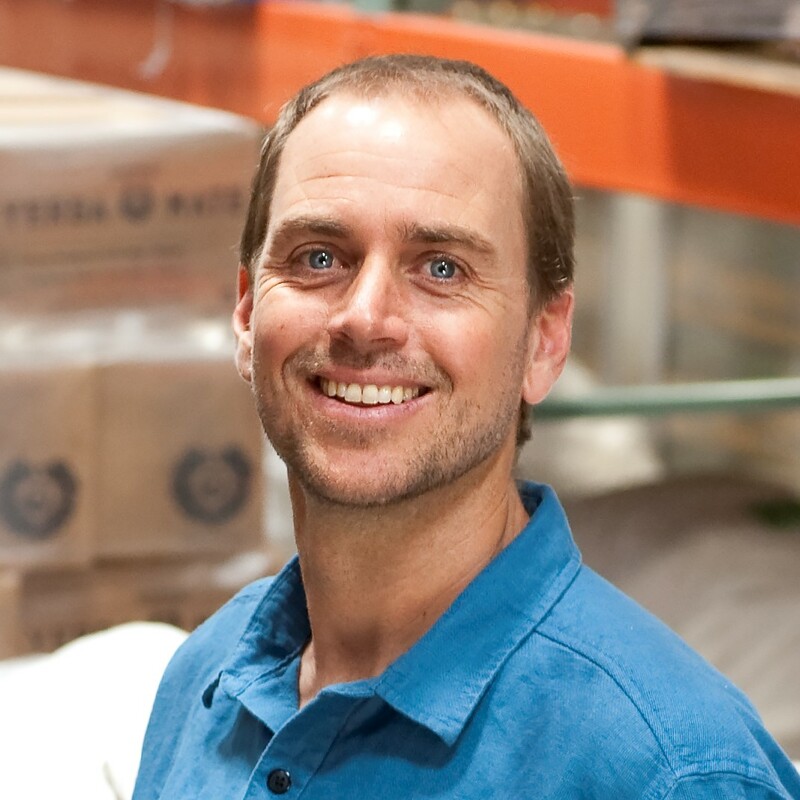 Chris Mann has been Guayakí’s CEO since 1997 and serves on the boards of GoLocal Sonoma County and OSC2. Previously, he helped build Natural Flavors, a 100% organic, vegan restaurant that employed 25 people and 60 local farmers.